The complete copy protection solution for distribution of copy sensitive material. Ideal software for true professionals in the media industry or other corporate media groups, it allows you to freely share your ideas with your peers. Copy Protect is engineered to augment information security by restricting access to your sensitive files. Copy Protect provides UNBREAKABLE protection for all your media files including your videos, audios, pictures, and documents. 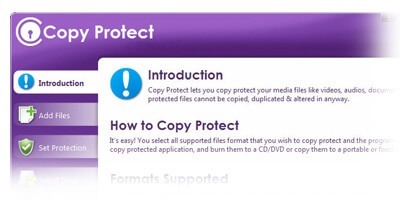 Copy protect is engineered to prevent copying and duplication of films, videos, music and other copyrighted material. Data infringement can lead to lost revenues and loss of intellectual credit, Copy Protect prevents such incidents. Works with all types of popular file extensions, ensuring all types of media are safe from data duplication. Copy Protect thwarts unauthorized re-distribution of all your protected files through its drive-specific restriction mechanism. Media such as videos, photographs and presentation cannot be illegally distributed when protected with copy protect. Ensures your intellectual property will not be illicitly distributed and sold, offering you a piece of mind. Data leaks can end up costing millions of dollars annually in direct losses to individuals and organizations resulting from data leaks. Copy Protect enhances your data’s integrity and confidentiality with advance copy protection technology. 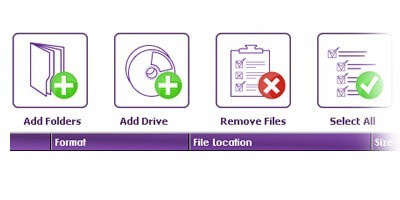 Your copy protected data remains protected even during transfers from your CD/DVD or USB drives to any other drive. Advance copy protection technology restricts access to your data from whoever tries to run your copy protected applications from drives other than the source drive. Copy Protect secures your data and information and allows you to continue using your files in the way you want without worrying about unwanted access to your important files. 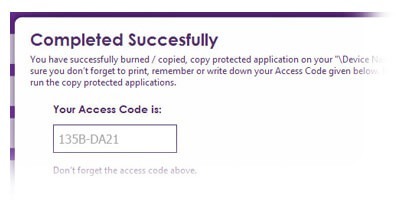 Continue using and accessing files casually protected with Copy Protect, without worrying about anyone else copying it. Copy Protect helps you securely distribute your files to clients or other computers. With Copy Protect, your information and data is always protected. Copy Protect converts your media files into standalone ‘.EXE’ applications that can be securely viewed and re-distributed. Freely distribute your intellectual media on CD’s/DVD without having to fret about it being dishonestly copied.